I know some of you prefer to be gadget-free on your holidays, not wanting to connect to news back home and the like. Especially if technology is keeping you on the job 24-7, you may want to use vacation time to disconnect and wind down. But lots of us want to be able to stay connected to family, friends, and the rest of the world even when we’re away from home. And that can bring a new set of challenges and expenses. Travelling has challenges on your tech that may require different options than working at home or in the office. Gear is going to be carried around and probably bounced around. It’s at higher risk of getting broken or stolen. That big 15″ or 17” laptop that you bought because it could replace your desktop computer is going to feel too heavy fast. And it won’t fit into a hotel room safe. Your DSLR camera (with multiple lenses) takes great pictures, but it will feel like a brick around your neck after a long day walking around – and it screams out “Tourist!” (and “Steal me!”). Your smartphone is small and unobtrusive, but are you prepared for international roaming charges on your bill? Noting that no one size fits all, here’s what I did. Phone: For some people, a smartphone is the only tech gear they need – it can replace camera (still and video), music player, ebook reader, video player, and let them check email and Facebook and browse the Web – all in a very portable package. The danger when travelling is the risk of ending up with a huge bill, inflated by international data charges. Things have gotten better for smartphone users in the past few years, though. The big Canadian mobile providers now offer relatively reasonable roaming packages to their customers. I do something else, though. The first thing I do after settling into a new country is walk into the closest mobile phone shop and purchase a short-term SIM card with pre-paid phone and data service. The cost has tended to be around 20-30 Euros for a month’s service. Doing that requires an unlocked phone, which I have. Most Canadian and US mobile phone users have phones that are locked to their specific service provider, but these providers are often prepared to unlock customers’ phones for a fee – around $50. Lots of small local shops will also unlock phones, typically charging half that. Getting a SIM card in a foreign country means that people calling your North American phone number won’t reach you – only you can decide whether that’s a good or a bad thing! Camera: I brought a camera; maybe you’re happy with the camera on your smartphone, but I like getting close-up details of architecture and landscape when I’m traveling, so I want a reasonably large optical zoom – the digital zoom on a smartphone camera just doesn’t cut it. At the same time, I don’t want to carry around anything too large to fit in a pocket. Luckily, there’s a fairly new category of compact zooms – digital cameras the size of small point-and-shoot models but with 7x or larger optical zoom lenses. 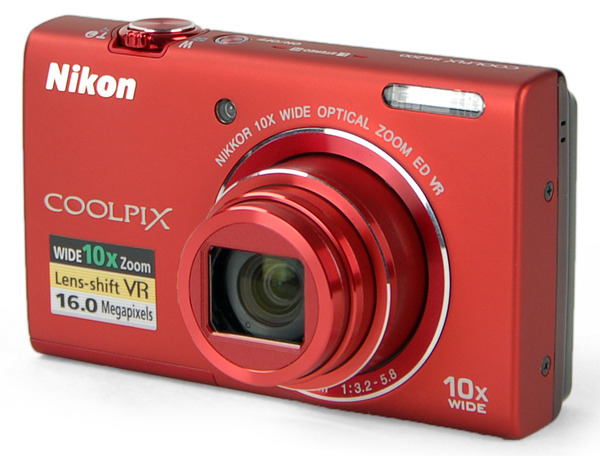 I’ve had a pocket-sized 10x Nikon Coolpix S6200 for a couple of years; it’s been replaced by the S6800, with some added features for under $200. There are similar models from Canon, Panasonic, and all the usual competitors. Tablet and laptop: I brought both. You probably won’t need to; most people travelling want to check email, browse the Web a bit, maybe read an ebook, listen to music, and watch a movie or two. A tablet does all those things just fine – and is more portable, durable, and (maybe) inexpensive than a laptop. I brought a second-hand 10” iPad that I’d recently purchased; a smaller iPad or an Android tablet (like the very good, inexpensive Nexus 7) could have done just fine. For a laptop, I left my Mac at home – I decided that I wanted something less expensive and less mission critical – something that could be broken, lost, or stolen. (None of that happened, but if it had…) I purchased an Acer C720 Chromebook, one of a new generation of small, light, inexpensive computers that run Google’s ChromeOS, an operating system based on the Chrome web browser. It won’t run either Windows or Mac applications- but for mostly online operations it’s just fine: near-instant startup, near-invulnerable security, all-day battery life. Did I mention small, light, and inexpensive ($250 or less)? I set up Chrome Remote Desktop (free) so that I could use my Mac at home for anything I couldn’t do directly on the Chromebook – I did that a couple of times and it worked just fine. Some people travel with dedicated ebook readers. These have a couple of benefits – most offer long battery life and a black and white screen that is far more readable in bright sunlight than a tablet’s colour screen. The ability to replace the pounds of books that some of us would take on holiday with a single lightweight device. And low cost is always a plus in travel tech. I’m less of a fan, though, of gear that only does one thing (cameras excepted) and don’t like how most ebook readers lock users into getting their content from a single source. So I don’t use one – instead loading ebooks onto my multi-functional tablet and not using it at the beach. Effective use of the tablet and notebook, though, requires a good, fast Internet connection. We tend to assume that broadband Internet will be available wherever we need it. Both the apartment we’d booked in Venice and the hotel in Bologna promised WiFi connections, but neither delivered. In my travels, that’s too often been the case. Instead, I was able to use my phone’s connection, turning on tethering to share it’s Internet connection with the other devices. Wth that enabled, the tablet and notebook just assumed that they were connecting to a standard WiFi router. A bit slower than I would have liked, but usable. Can your phone do that? Maybe yes, maybe no. If you’re on a plan with a restricted amount of monthly data, you may not want to do it, and your phone company may want to charge extra if you try. The Italian data plans I’ve used have been much more flexible.